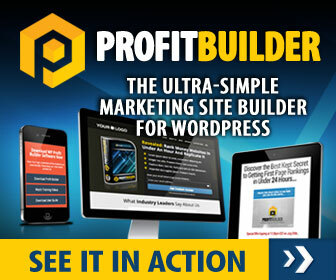 In my opinion, if you're looking for the best free website builder available on the market then WordPress has it all, it's intuitive, provides amazing functionality through widgets and plugins and WordPress is not difficult to pick up, particularly when when you have some guidance like we have for you here with our step by step video tutorials. Combine this with a fantastic theme and you can have a website of practically any kind without the limitations of the usual bunch of free web site builder tools out there. The latest update of WordPress's self hosted CMS software has got some great visual features as you can see from the video, making life even more easier for users of their software. This software has got to be difficult to install and set up I here some people say, this may be so with some web hosting companies, particularly if you're a relative newcomer to WordPress and have no knowledge of databases or FTP. This is why we have made installing and setting up your WordPress content management system point and click simple with our one click install app. You Just click the WordPress icon in the CGI scripts section of your hosting control panel, type in a couple of details like site name, user name and password for you to access your websites user dashboard, then the software does the rest and in a few seconds you're all done and ready to start building out your site. Sorry if you were expecting it to be more complicated than that. This WordPress one click install app is just one way we are breaking down the technical barriers and comes free with our web hosting and at only £5 a month for up to 5 domains, plus the free video tutorials it's a real no brain-er choosing to build your own website with us.